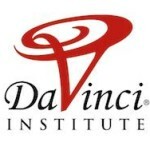 The DaVinci Coders developer training programs are designed to fulfill the unique needs of people like you–people who are in a crucial life transition and looking for the opportunity for a great career in the rapidly growing technology industry. This is not a typical university setting full of distractions. This is a full-immersion program in a lab setting, where you will find intimate class sizes with like-minded people; life-tested and ensuring their place in the future. A place to learn and connect with tech industry professionals and help get your start in the ever burgeoning software development industry. 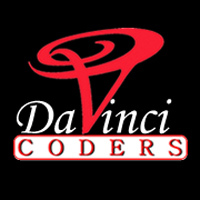 Bootcamps.in offers exclusive discount for DaVinci Coders’ courses bootcamp. Discount code & details will be revealed after you share this page on one of the social networks. Next web includes a conceptual overview of API-based web apps that evolved in the 2000’s. Importantly, next web introduces machine learning and functional programming concepts as what will drive the next ten years of innovation. This course is taught using immersive techniques. You’ll have exposure and access to industry professionals that include companies like CA technologies and CenturyLink, for instance. Learn using a variety of media, including online course notes, screen casts, online chat, and podcasts. You’ll additionally have access to both books written by the instructor, free with your tuition. Web Development with Python provides students an intensive 20-week introduction to the Python programming language, SQL databases, and the Django web development framework. Designed for problem solvers without any programming experience, it covers both front and back end development, and the many industry tools junior developers use on a daily basis. Students in this course have a unique opportunity to discover how all the pieces fit together. As part of the course, each student will build their own database driven web application that they deploy to a cloud-based server. They will learn to automate the many aspects of a development cycle so they can focus on solving problems and writing code. In addition to writing code, students will learn to communicate their programming ideas. Students are expected to write about the problems they encounter during the course, and the discoveries they make in solving them. They will be encouraged to research topics that interest them, and present these discoveries to their fellow classmates. If you’re interested in learning to program using C# and working in the video game development and design industry, this is your first step. Taught by Julien Lynge, one of the nation’s leading experts in the game industry, this course will take you on your own gaming adventure. Your game development journey is designed to help you battle every learning obstacle, wielding the power of your wits, C# language, JAVA, and Unity game engine to leverage your best storytelling, gamification, and programming abilities and build your own game. As a student developer, you will learn to write, design, develop and debug code and games while developing a working portfolio. This is hands-on training at its finest–every student will be assigned a mentor currently working in the industry to meet with on regular basis. Special guests will be giving presentations and learning modules. You will also be expected to attend gaming community meetups and events to get-to-know key gaming industry professionals. Back-end web development with Ruby on Rails offers students an all-immersive course of study in dealing with the Ruby on Rails framework and associated technologies. The Rails framework will provide the opportunities needed to be better prepared for a career in software development, and the tools that industry professionals use to accomplish their task. Students will also develop and practice the communication and teamwork skills necessary to work in the tech industry. Students will be expected to participate in pair-programming with other students in the class, frequently blog about their experience, as well as present their final projects based on the topics covered throughout the class. There will be online reading assignments, screencasts (as needed), in addition to daily knowledge Q&A sessions. At the end of class, students will have the opportunity to participate in instructor-led mock interviews to better articulate their new programming skills in a professional interview setting.